The classical combination of black and white often is a timeless intruiging beauty. It makes me think about Chanel, black ribbon or gift wrapping, but mostly about style and taste since it has to be expressed in exactly the right manner to enhance beauty. Unfortunately that isn't always the case. 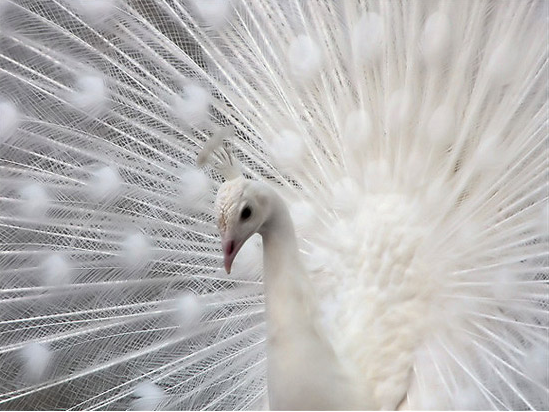 In these captivating images it is done perfectly, plus the soft focus ads value. Maybe the paw is a bit of an exception (although it's eye is black;-), but I couldn't resist sharing such kind of natural white beauty with which it is gifted... How would or do you combine black and white? I like to use black and white with textural contrasts. I think that's why the first image works so well... the contrast of the white tulle against the black satin ribbon. Can find much beauty in a combination of black and white as show these images. I do not like wear these 2 colours but no doubt are so chic together. Maybe I would try to wear. such a timeless combination. 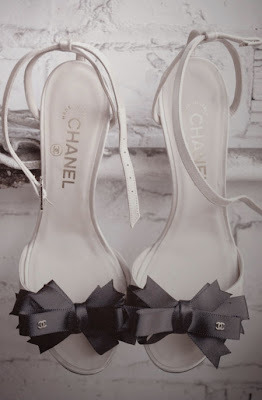 and those chanel heels are divine! So classic! I'm a sucker for anything simple and timeless -- like Chanel, of course. Love these photos. oh my gosh these are beautiful! love your blog! It's my favourite combination of colours. Whenever I don't know what to wear I turn to timeless black & white. Of course I always associate it with Chanel and classic simplicity.